If mornings could be summed up in a single word, 'manic' would be ideal to describe it. While some days *however rarely they may occur* are planned and play out to the tee; others are not quite the same. From taking bites of my breakfast in between buttoning my shirt, I'm on my toes from the very moment I wake up. Recently, in the midst of fussing over a minuscule conundrum, like what belt matched what shoes or if my folder would fit inside my handbag, I caught a glimpse of myself in the mirror. No doubt my outfit was on-point but my face told another story. When I saw tired eyes and a fatigued face looking back at me, that's when I knew I had to take things in my own hands for a more confident, brighter start to the day. 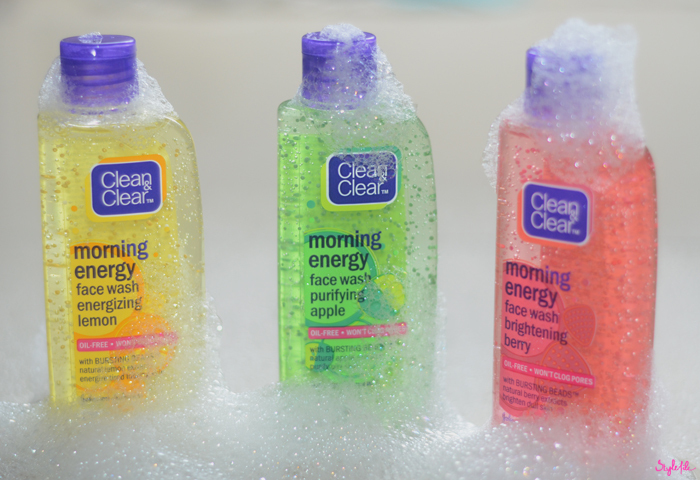 Cue the Morning Energy face wash range by Clean & Clear which consists of 3 variants i.e. Purifying Apple, Brightening Berry and Energizing Lemon. Fruits are known to be skin saviors so it is an added bonus having the natural fruit extracts directly in contact with the skin. The translucent liquid with minute spheres comes in a 100 ml bottle priced at an affordable INR 110. The highlight of the range is its unique Bursting Beads formulation that shatters on contact to help enhance the way the face wash cleanses the skin. 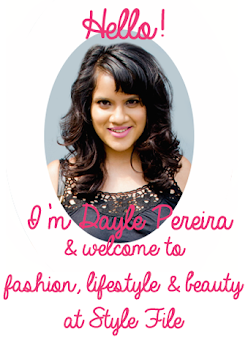 I've spoken about my skin story and the constant need to tip-toe around it because of its sensitivity. So when it came down to reviewing the Morning Energy range, my previous apprehension was dispelled swiftly as it did not cause any break-outs on my sensitive skin and made my oily texture feel a lot less greasy. 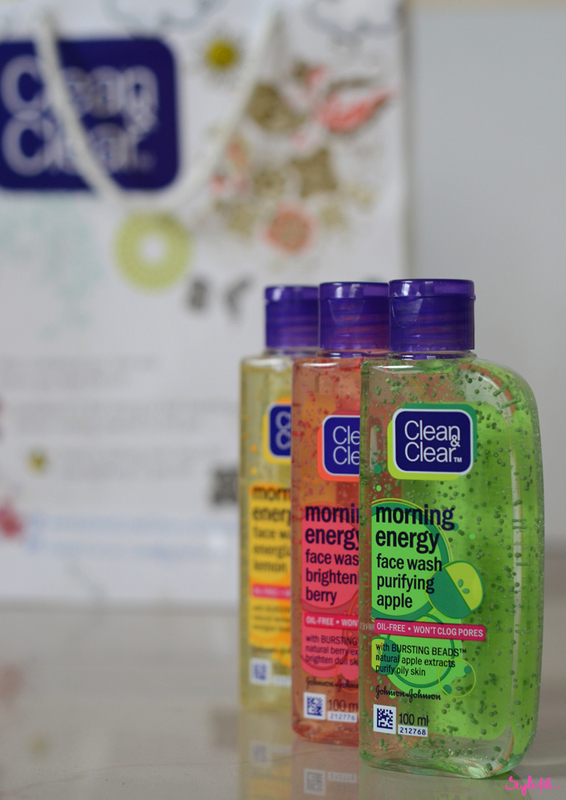 The Bursting Beads gently burst on application, adding to the deeper cleanse and fruity fragrance of the face wash. The moments I splashed it on my face, I found that there was a certain freshness instilled in my skin that served as the perfect alarm clock for it, invigorating my skin with new life. Frequent usage of the face wash definitely made a difference and woke my skin to a brighter start. Looking in hindsight at my teenage years, one of the pearls of wisdom they've taught me is that less really is more. The age can surface the worst in us, from awful dark circles to raging pimples to dreaded dark spots, which we make out to be much greater than what they truly are. While cosmetics are great in moderation, never make the mistake of losing your true being under layers of cosmetics and clothing because in reality, all you are ever known for is the real you. Strip down beneath all those the layers and what lies there is you, in all your glory. Find that being and let it shine. So the next time you wake up in the morning, make sure you start it off with confidence and energy, to show your true self.